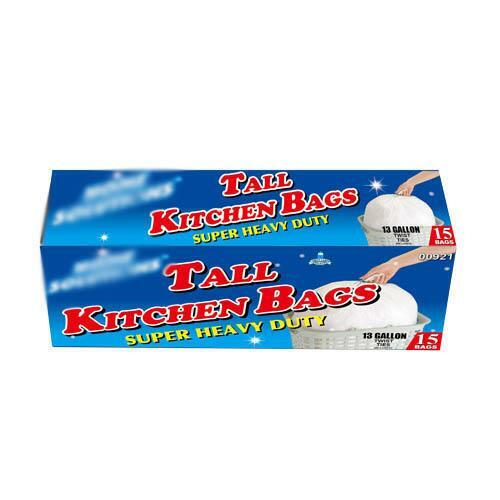 "Wholesale TRSH BG-13G TALL KTCHN 15CT Home solutions tall kitchen bags. Super heavy duty. Ideal use as kitchen trash bag, food waste collection bag, and other organic waste collection bag. Super heavy duty garbage bags prevent rips and tears. " 12.20" x 20.47" x 8.66"